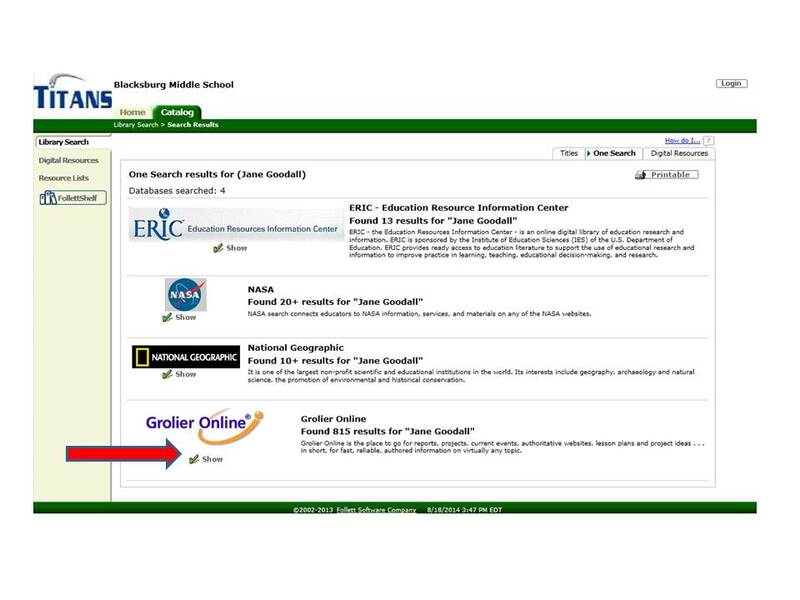 *Access the Destiny Library Catalog from the Library Website and choose our school. 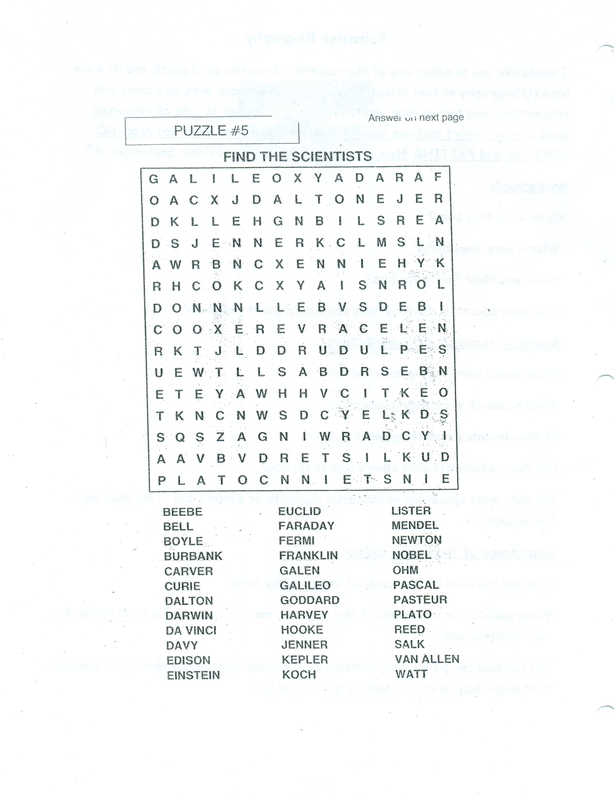 *Click the Catalog tab on the top left and perform a keyword search for your scientist. 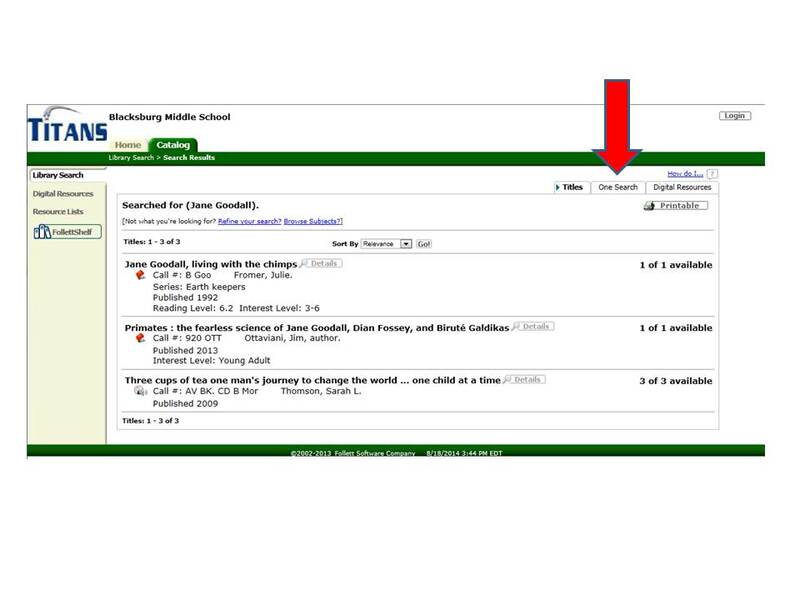 *Notice at the top right that the "Titles" tab is selected as the default. These are the books that we have in our Library. *At the bottom of each article that you access through the Grolier Online database is an already formatted citation for you to copy and paste into your Works Cited page. Bonus!! !